I don't really want to talk about this, but I think it will help me come to grips with reality. Mad Men is ending. Where else will I be able to study each frame for vintage inspiration or squeal with delight when I spot a vintage dress that I own? Not Keeping up with the Kardashian's, that's for sure. I'm planning a farewell to Mad Men party and thought I would share some of the details so that you can start planning for the finale as well. There are a few elements that should not be missing from your party. Classic cocktails, nostalgic snacks and lots of mid century details. So pour yourself an Old Fashioned, put on Zou Bisou Bisou and let's get planning! Make an invitation worthy of Don Drapers famous pitch. 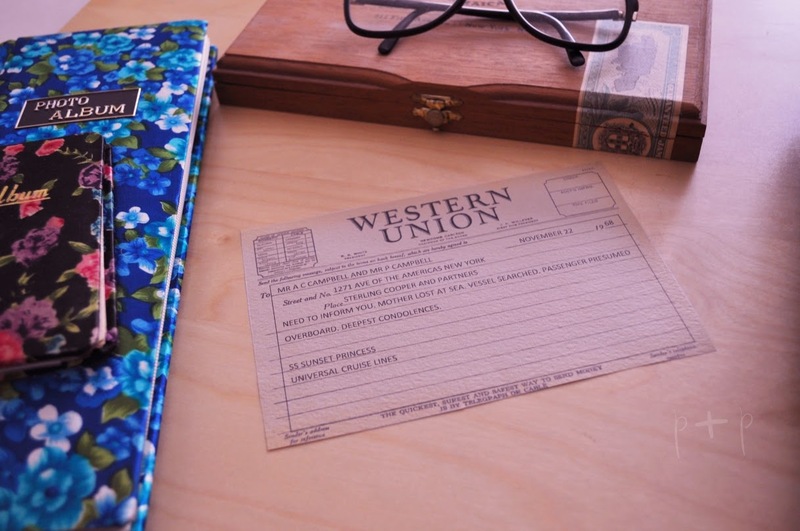 Add your party details to this blank Western Union Telegram and start your Mad Men theme off on the right foot. To make your own invitation, open the telegram image in Word, place a text box over the image and type your invitation details. 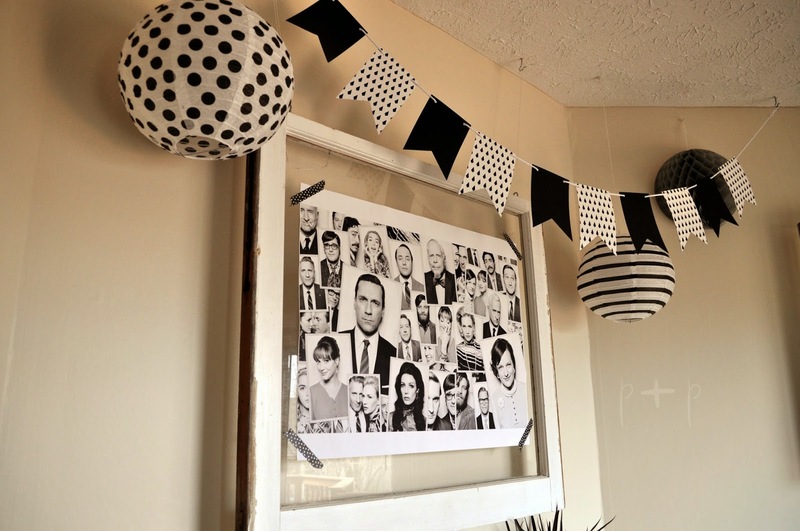 Making and gathering props and decorations is my favorite part of party planning. 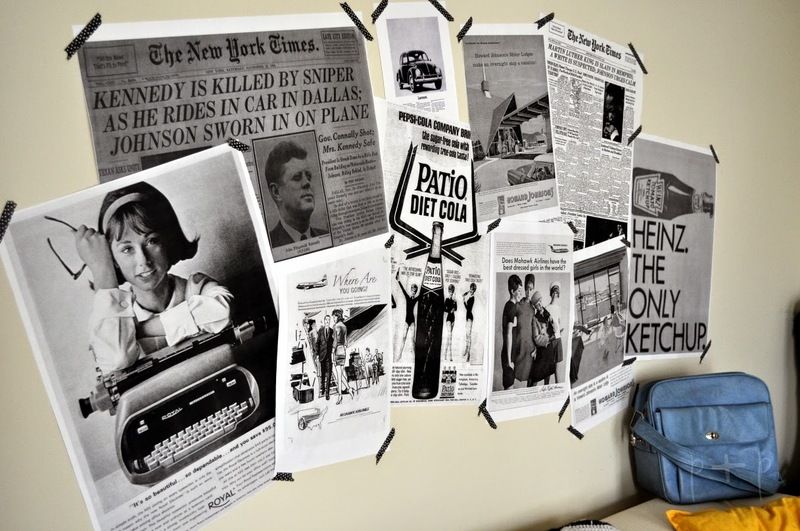 For this party I'm gathering all of the 60's and 70's décor from my home and making some props that are specific to Mad Men. Since everyone will be dressed retro styles I want to have a few places that will make great backdrops for fun photos. One way to accomplish this is to print out large photos to make a backdrop. AMC has some awesome high quality photo's available for download that will look great printed large. I also found lots of great vintage ads online and had them printed as engineering prints at Staples. You can upload your photo online and then pick it up the next day. These are very affordable at $1.99 each and make a large impact on your wall. 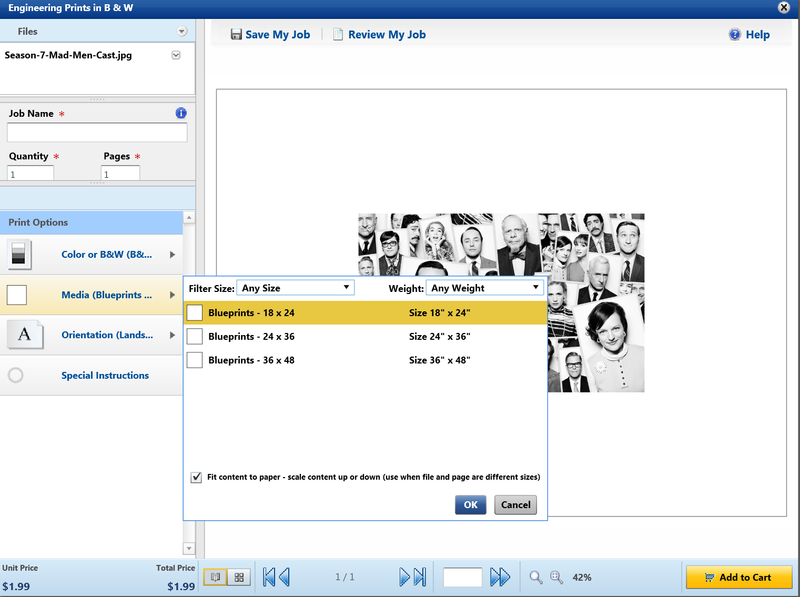 TIP: Make sure to choose the option to Fit Content to Paper when creating your print. Otherwise your image will only print in the middle of the page. 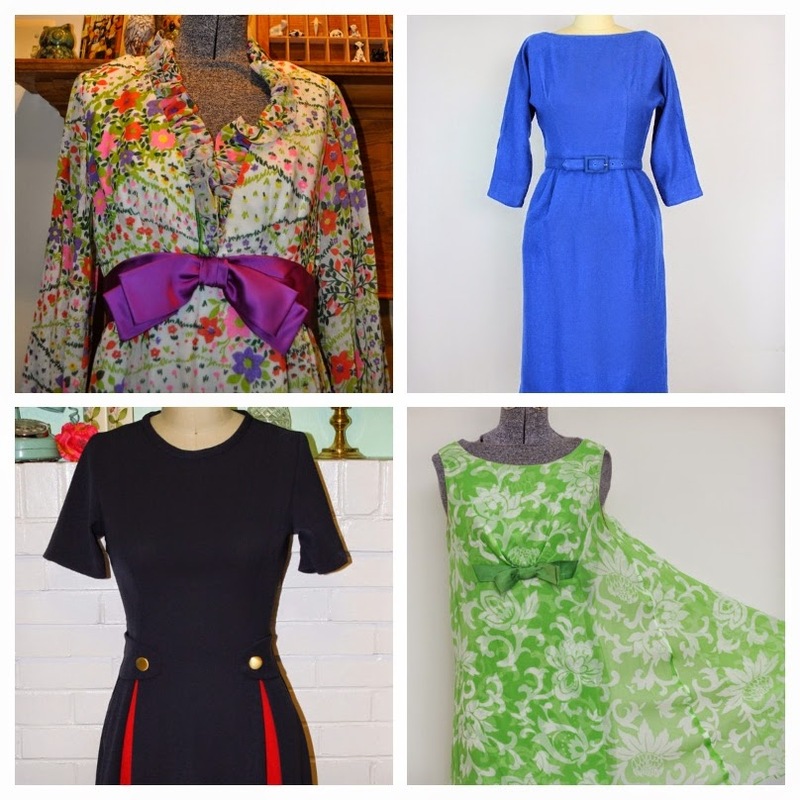 The fashion on Mad Men is practically another character so don't forget to dress the part! You may even want to have a few outfits available for your photo booth. Try to make your props as realistic as possible. 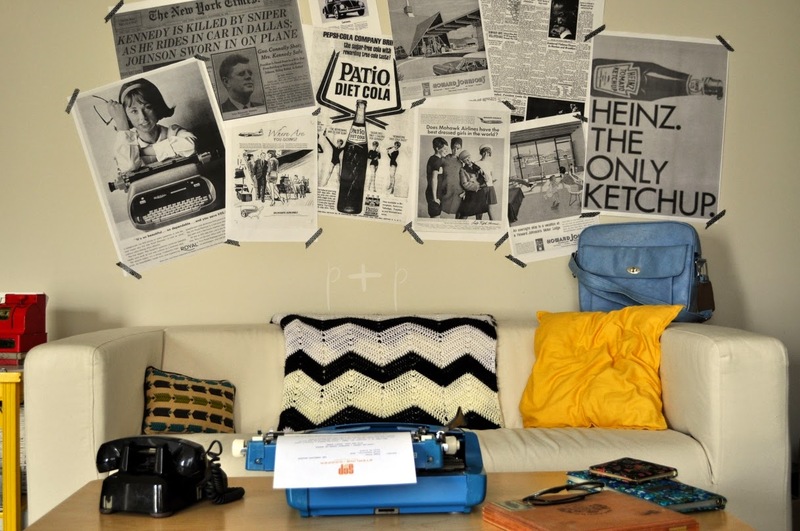 I have a lot of vintage items around my house, so I was able to put together a vignette of items that could have been on Peggy Olson's desk. I even printed out the Sterling Cooper and Partners Press Release and added that to my typewriter. I also made a replica of the telegram Pete received of his mother's cruise ship disappearance to add to my party props. Add an old rotary phone from the thrift store or etsy, a few desk accessories and you're all set. Check back for Part 2 where we'll talk about cocktails, food and more. I enjoyed watching these photos from mad men finale party. It seems to be a fun night. One of my friends is getting married and I have been planning to throw wedding shower for couple. It will be great if you can share some suggestions for affordable event venues Chicago. Visit Poe & Poppins's profile on Pinterest.